Americana Acryl Verf Banana Cream 59 ml. 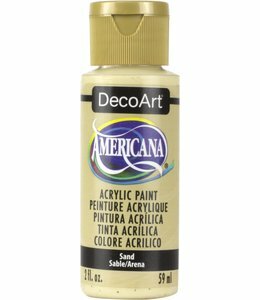 Americana Acryl Verf Sand 59 ml. Americana Acryl Verf Lemon Yellow 59 ml. Americana Acryl Verf Summer Squash 59 ml. 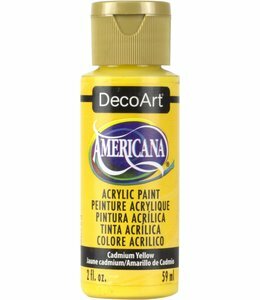 Americana Acryl Verf Cadmium Yellow 59 ml. Americana Acryl Verf Yellow Light 59 ml. Americana Acryl Verf Primary Yellow 59 ml. Americana Acryl Verf Moon Yellow 59 ml. Americana Acryl Verf Golden Straw 59 ml. 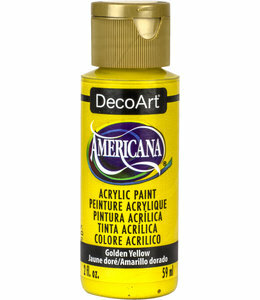 Americana Acryl Verf Camel 59 ml. 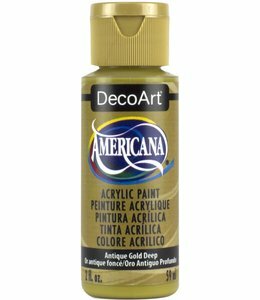 Americana Acryl Verf Antique Gold 59 ml. Americana Acryl Verf Spicy Mustart 59 ml.